The “cost per person” model does not help us understand the nation’s healthcare bill because not every person is a patient. If we focus on every American, the charges are not clear. 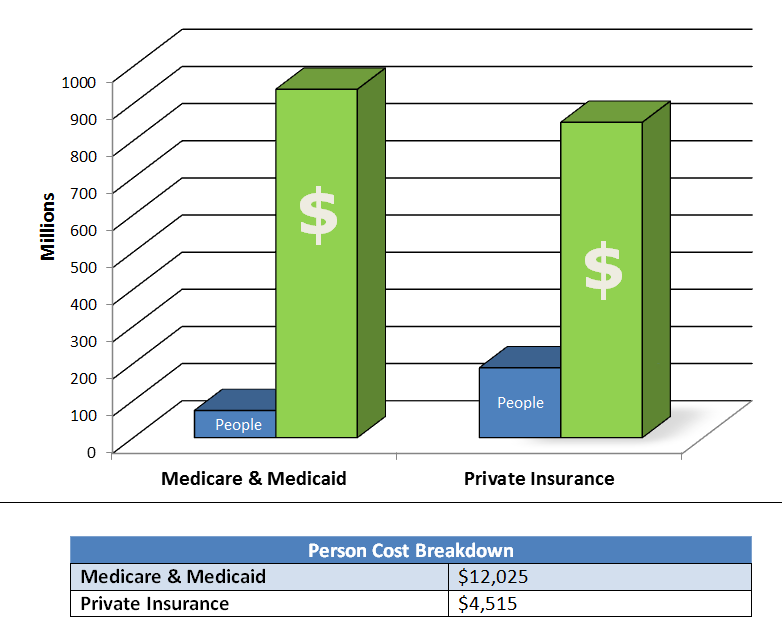 On the surface, it looks like CMS paid 2.6 times more for healthcare than private insurance companies. However, insurance pays the cost of a patient visit, not the cost of a person. With Stratasan analytics, we can dig deeper into the data to create a more accurate cost model. Using Stratasan’s Health Service Demand, we know Americans visited the doctor’s office 1.3 billion times in 2011. Private insurance covered approximately 650 million of those patient visits and CMS covered 510 million. It is when we focus on patient visits that the healthcare cost picture begins to come into focus. The surface level data does not tell the complete story. 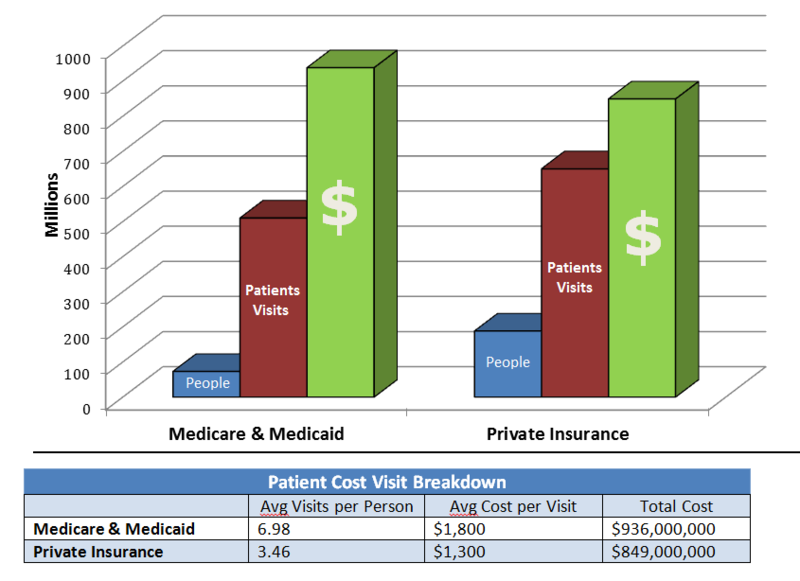 Although Medicare pays almost 3 times as much per person, they only pay 38% more per visit. Medicare & Medicaid patients visit the doctor twice as often as private insurance patients and they are typically older and/or have a chronic condition. This translates to higher health expenses. While America continues to debate how to pay for future healthcare costs, at least we have a better idea where the costs are coming from and who is paying for it today.